It was after an international trip that Luiz Flávio Tavares decided to start an English course. 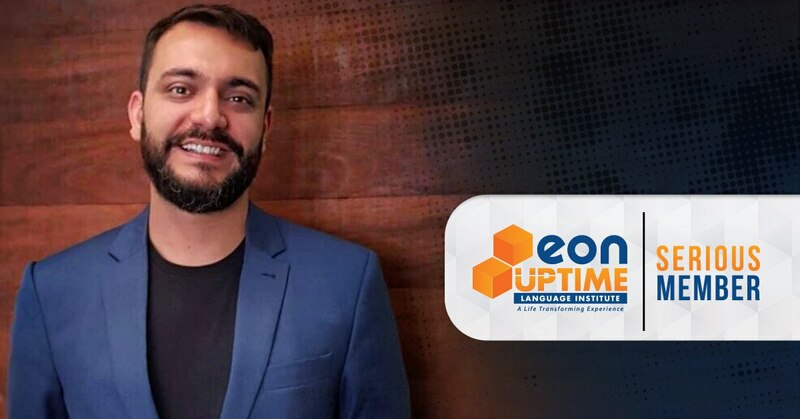 Today, after concluding the Connected Course at UPTIME Goiânia a midwestern city in Brasil, he is fluent in the language and celebrates the achievements that the language provide in his life. The trip was to Spain, to the Camino de Santiago de Compostela. Because it was a Spanish-speaking country, Luiz imagined that he would be able to communicate easily. However, along the way, he realized that the most spoken language was English. From that moment on, he knew how important the English language is. "UPTIME called to my attention because of its proposal of fluency in a reduced period of time," says Luiz Flávio, who is a plastic surgeon. Throughout the course Connected, he reports that he had the opportunity to talk to foreigners and was able to notice his constant evolution in English. In addition, the possibility of a flexible schedule was fundamental. As a doctor, Luiz has a full work routine, and according to him, a flexible schedule "was very important to manage work, family and the course," and he says that in his profession he often needs to practice reading in English. Once he was fluent in English, Luiz went on a trip to many Asian countries: Vietnam, Thailand and the United Arab Emirates. "It was amazing to be able to communicate easily in all these countries. I made several friends of different nationalities and I keep in touch with them until today, in English, of course! " Luiz concludes by saying that English is, in fact, the universal language and that fluency "helps overcome obstacles and go further, whether on the professional or personal side." Fluency in English was also important for Rafael Rodrigues when he went on a trip to Europe.